On The 21st: A new study shows the cost of local government increases in areas without newspapers. Plus, with the inauguration of the Pritzker administration, Democrats now have a historic majority in Springfield. What does that mean for Republicans in Illinois? Also, SNAP benefits are arriving weeks early due to the government shutdown. We'll talk about how that impacts recipients and retailers. And, we answer your questions about Governor Pritzker. We hear about the economic problems of running newspapers all the time. When we think about local journalists in the past 15 years, the number of statehouse reporters is down 35 percent. But it’s not just a loss of information, knowledge or civic pride. It turns out the decline in local journalism also directly impacts taxpayers. 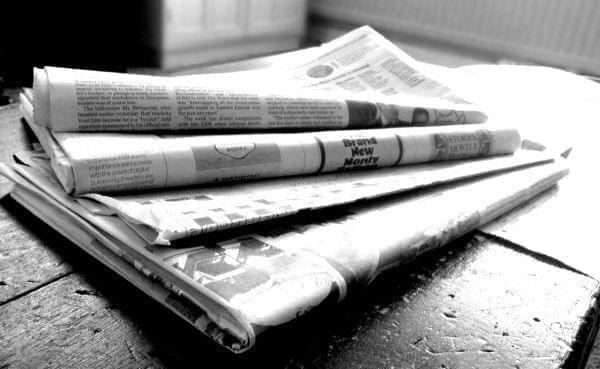 Researchers at UIC and Notre Dame recently found that the cost of local government increases in communities where a newspaper has recently closed. Dermit Murphy is an assistant professor of finance at UIC. He worked on this research that looks into newspapers and public finance and he joined us on the line from Chicago. Chris Kaergard also spoke with us- he’s a political reporter for the Peoria Journal Star. The number of statehouse reporters covering local government issues dropped by 35%. As of yesterday, all of the winners of last fall’s midterm elections have officially taken power. Bruce Rauner is out, J.B. Pritzker is in, along with a lot of Democrats in the General Assembly. Democrats now have a supermajority. And they got it by winning in traditionally Republican suburbs of Chicago. But what about in the rest of the state? Ted McClelland has been writing about this for Chicago Magazine. Also with us on the line we had Pat Brady, former chairman of the Illinois Republican Party. "In other words: By aligning with a changed Republican Party, Downstate has rendered itself politically irrelevant in this blue state." Some 800,000 federal workers are on furlough on this - day 25 - of the longest government shutdown in U.S. history. Even though the entire government hasn’t been shut down, many agencies have been affected. When you think of places like the USDA, 96 percent of that staff has been furloughed, which has affected various food programs in different ways. Records from a few years ago show that in Illinois, there are about 1.8 million people who receive Supplemental Nutrition Assistance Program (or SNAP) benefits. Now, thanks to a workaround, they’ll get funding for another month. But, it does require that benefits be distributed by January 20th. That’s a shorter and faster window than normal. How will this affect recipients and the retailers they visit? Alexia Elejalde-Ruiz has been reporting on this for the Chicago Tribune. In studio with us we had Craig Gundersen. Craig is a professor in the college of Agricultural and Consumer Economics at the University of Illinois Urbana-Champaign. WBEZ politics reporter Dave McKinney helped us answer your questions about J.B. Pritzker and the new administration. IL has gone almost 10 years since a big infrastructure plan. "Anybody who's driven on our highways... you kind of get a sense that everything needs to be fixed up in Illinois."